My presents are wrapped. It is officially Christmas eve. All of my boys big and small are snoozing soundly and this girl is up far too late. It is crazy to think I was going into surgery a week ago today. I cried that night for no particular reason but that waiting is exhausting and finality is sad. My boys are exhausted from waiting for the big day. So many meltdowns today. And I am honestly sad as well. I just wrote the most beautiful post about Mary that felt it came straight from another place… as if God were giving me a glimpse back in time. Details I had never deeply pondered came pouring out. About her waiting and her longing and her arrival in Bethlehem. About the tears that must have come from relief to finally have a place to rest in that pungent inn…. I wrote about the task she bore… the most daunting in the history of mothers. I wrote about the child she carried, she birthed, she raised, she lost. And I lost it all. A quick refresh on my computer and the post was blank. Nothing. Is there nothing so infuriating as losing things that were beautiful? And yet something has me pressing on, writing a shorter, less formulated thought as it is now well past 1 a.m. and I am a little frustrated and a lot tired, but even more determined to write about the crux of it all. I want so much to be like Mary, a woman who nodded with her heart to the God who invited her into a grand story. She was a woman who asked questions, not out of doubt, but out of great belief that God could do anything, yet she desired to know how. I want to be like her and praise a God that does not change in the midst of great uncertainty. I want to sing and dance and laugh at the days to come and weep bitterly at injustice and be up for great adventure. I want to be full of God and I want to love God and I want to know and follow God with all my being. I was reminded just days ago that the best gifts are those that reflect the recipient. 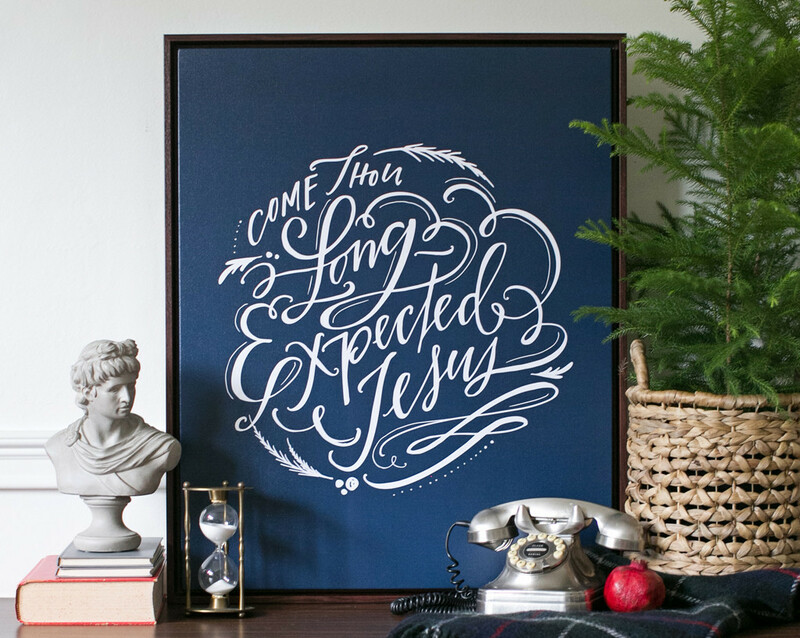 And I have this opportunity as we celebrate the coming of Jesus to celebrate in a way that would look like Him. That would please Him. To celebrate by giving my presence to people. To notice and love and be slow about my words and my listening and my driving and my watching. To relax. Jesus was not rushed. His heart was for people. And I am confronted with this question: If God were in my shoes, would he look at all like me? I hope I hope I hope that just maybe there would be glimpses of the living God in my words and actions and in the way that I love. I hope that the incarnation way back then might have actually done what it was supposed to do: to shoot forward through history to become God in the flesh of every beloved, chosen individual that receives the invitation to be in relationship with Him… Is that not scandalous!? That my life might reflect the very savior we are about to celebrate?! And I am reminded that the waiting is over. We can relax. Our savior has come. He has come to bring the fullness of life. Relationship with Him. What if we realized that satisfaction is found in the one we were asking so much from? That HE is the satisfaction. HE is the answer. HE is the antidote. HE is the source of all life. A few minutes in His presence, listening to Him, baring my soul, is the sweetest of salves, the richest of foods, the most intimate of loves. Our soul finds completion in Him alone. I pray that I might seek His face and not only His hands. And that this Christmas, this ancient story might be fresh and so full of life. And I pray the same for you… friend or stranger, however you happened here, you are so very loved.